Voronezh State Medical University is known as one of the country’s leading research and teaching centers with a total of about 5,000 students. It is one of the oldest educational institutions of Russia. In 1930, its medical faculty became an independent medical institute, which achieved its academy status in 1994. The University has proved its worth as an academic institution providing high-quality education and conducting advanced scientific research in Medicine, Biology, and Pharmacy. 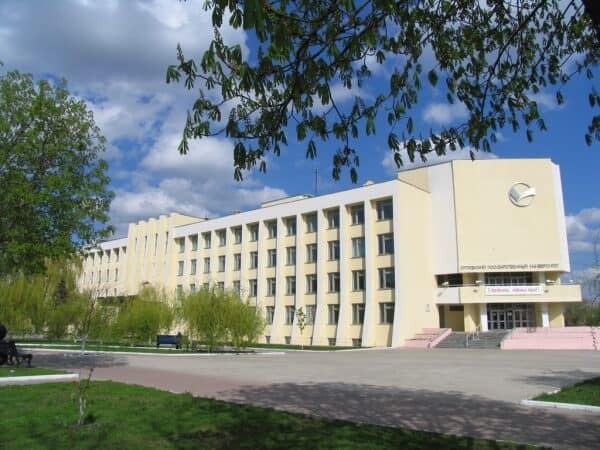 The quality of its performance is reflected in the rating scale, according to which the university is included in the top ten medical colleges of Russia. Since its foundation, it has prepared more than 40 thousand medical specialists, including foreign students from 56 countries of Europe, Asia and Africa. The Founder of the University is the RF(Russian Federation) Government. The Founder’s powers and competencies belong to the Ministry of Public Health of the Russian Federation. The University has a perpetual license for educational activity and the state accreditation. The University carries out its activities on the basis of the Statute. Medical degrees received at Voronezh State Medical Academy are recognized Globally. The Academy is listed in the World Directory of Medical Schools, 9th Edition, published by the World Health Organization. More than 800 staff members including 149 Doctors of Medical Sciences, 91 professors, and 525 PhD in Medical Sciences are involved in teaching and scientific work at 78 departments of the Voronezh State Medical University. The clinical base of the academy consists of 29 Affiliated hospitals and a network of polyclinics, where medical students gain exposure and practical skills. Annually the members of 39 clinic department carry out above 1,30,000 consultations, perform more than 12,000 surgeries, introduce to practice 90 – 110 new search methods, 120 – 150 treatment methods, and over 30 preventive methods. VSMU’s libraries have over 5,00,000 copies of books. Each student accounts for over 180 copies of tuition literature annually. 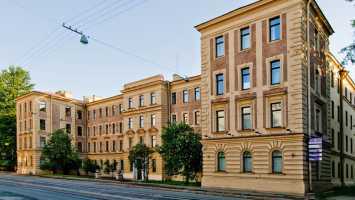 Voronezh State medical University international students are offered training in the following programs: «General Medicine»,«Pediatrics», «Dentistry» and «Pharmacy». The University has educated 1500 specialists from 28 countries of the World. This includes 875 foreign students earning their MD qualification. Among them there are 143 students graduating from the Academy’s Preparatory Department; 614 students were awarded MD Diplomas and 206 were qualified as Pharmacists. There are 84 residency course graduates and 14 postgraduate students defending their PhD theses. Traditional forms of teaching: lectures, seminars, practical classes and hospital clerkship. Modern teaching methods and techniques: computer and Internet classes, problem-based teaching, video-based classes, education software. International students benefit from studying in small group; they are allotted a group tutor. This is a person who follows student academic progress, assists in case of any personal problems, arranges regular meetings throughout a year to tackle any problem students face. English-speaking students may study in the General Medicine Program with English as a language of instruction with concurrent study of the Russian Language. Voronezh has grown to become a student city – nearly 30 higher educational institutions with a total of 74 thousand students are located here. With numerous shops, market places, cafes, restaurants and bars Voronezh is also a good place for fun and entertainment. Voronezh has its own distinct style and friendly hospitable people, which helps to ensure that living and studying here is unique and highly enjoyable for everyone. International students are guaranteed a place in one of the University’s student hostels. The hostel for international students is located in the very center of the city in close proximity to the University’s main building. The hostel accommodation costs start from 500 USD per year. Faculty of general medicine (MBBS). Indian students admitted to the 1st course have to pay their full fees for the whole academic year. Starting from 2nd year student may pay their tuition fees for each semester. Indian Mess is available for Indian students. All kinds of Vegetarian and Non-Vegetarian Indian food is available. Mess fee is announced in the beginning of every academic year (approx 6000 Rupees/month).Mess is not compulsory, students can cook their food themselves in the kitchens provided in the hostel.